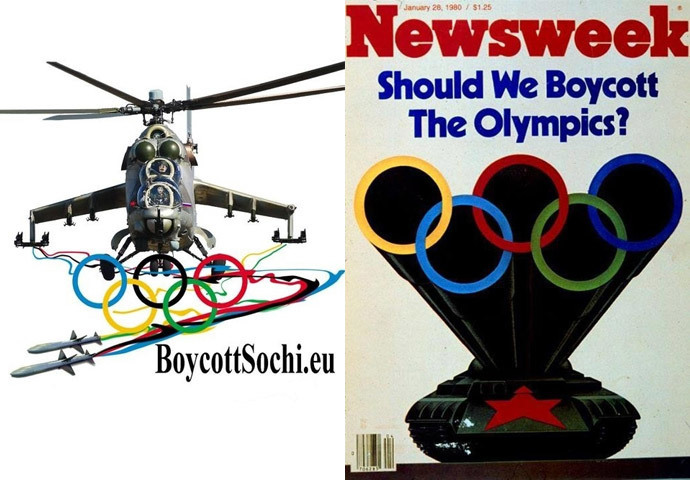 The campaign to boycott the Sochi Olympic Games in the Western media appears to be thriving on almost the same imagery that was used three decades ago, at the peak of the Cold War, to project fear of the USSR ahead of the 1980 Moscow Olympics. 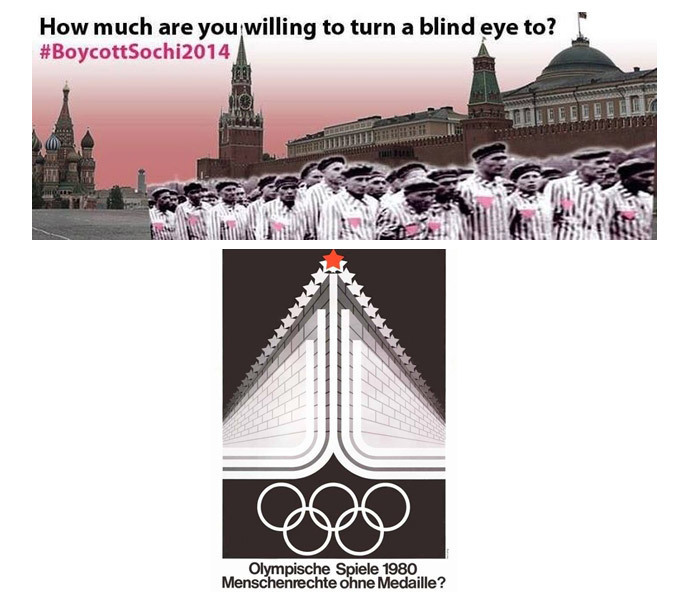 For months leading up to the biggest sport event of the year widespread calls to boycott the 2014 Sochi Olympics saturated the Western media and social networks. With numerous online and offline boycotts, protests and petitions around the world it led to a number of world’s leaders not attending the opening ceremony of Sochi Olympic Games. Barack Obama, Angela Merkel and David Cameron chose to ignore the festivities, a move criticized by Thomas Bach, head of the International Olympic Committee. Sports should not be “used as a stage for political dissent or for trying to score points in internal or external political contests,” Bach said at the games’ opening, praising those world leaders who did visit the ceremony. 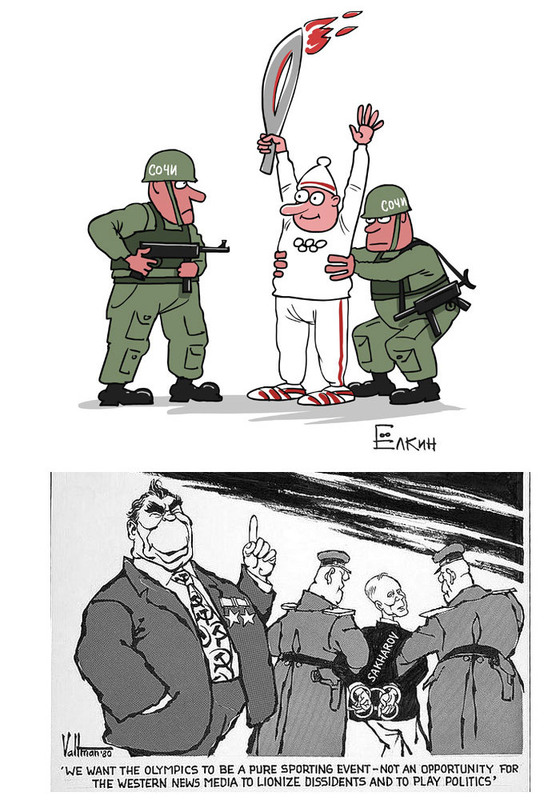 The Sochi 2014 Olympics have become a catalyst for anyone dissatisfied with Russia’s internal or external policies to exercise their wittiness with sharp caricatures, overblowing certain problems to catastrophic proportions. In such a manner, legislation that outlaws propaganda of non-traditional sexual relations to minors has been presented to the international community as a full-scale crackdown on the gay community in a potentially dangerous place for Olympic Games visitors. Andrew Kreig, author of several books on news coverage in America, sees nothing surprising in the way foreign correspondents have been desperately seeking persecuted Russian gays. “That’s a classic case that happens all over the place when reporters think they know what the story is and all they are trying to do is to find someone to attach a name and a face to a story that’s almost written in a reporter’s or editor’s head,” Kreig told RT. However, the LGBT theme has become pretty much the only fresh idea in the Olympics-bashing campaign, while most of the others seem to be based on Cold War era stereotypes. Handcuffs, barbed wire and malicious-looking bears have migrated from the magazine covers of 34 years ago to those of 2014. Western phobia of Moscow’s military might was prevalent in 1980’s, when it was inspired by the USSR’s presence in Afghanistan. And the same phobia seems to still exist in the 21st century, despite Russia not being engaged in any military conflict. The fall of the Berlin Wall has left the world without a major symbol of totalitarian oppression. The substitute, however, seems to have been found in the image of the Kremlin wall. 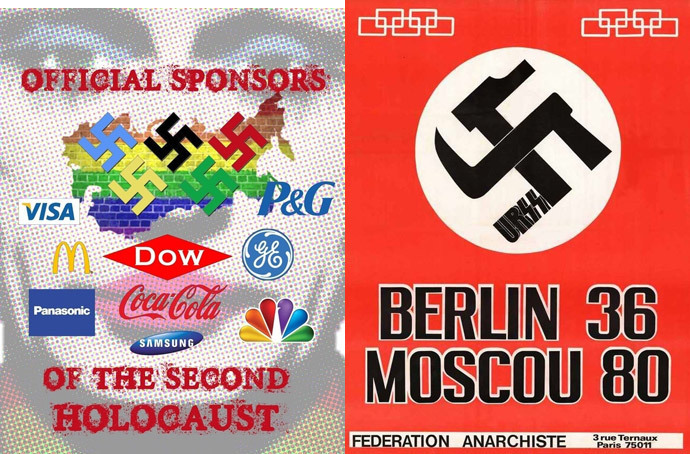 Another idea, that’s not particularly fresh is drawing parallels between the Nazi Germany, the 1980 Moscow Olympics and the 2014 Sochi Winter Games. This is nothing short of an insult for millions of Russians whose grandparents sacrificed their lives to battle fascism. Barb-wired Olympic rings have dominated caricatures both in the past and present. In the Soviet Union it was used as an effective tool to call attention to a relative lack of freedoms in the ‘totalitarian Soviet system’. For the new Russia, it has been mostly used to signify the increased security measures implemented for the safety of the Games’ athletes and visitors. 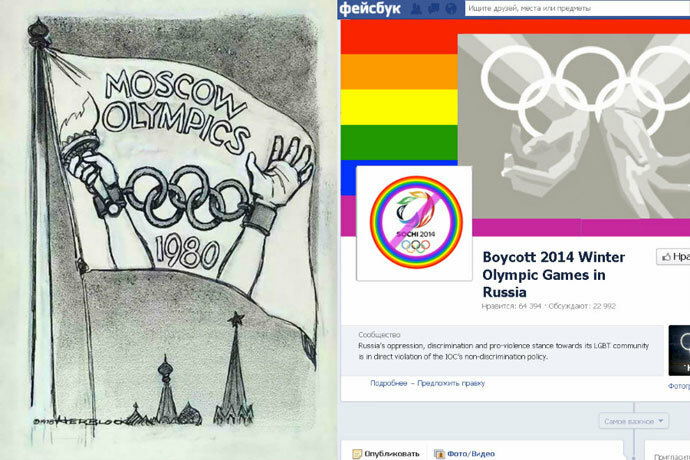 Olympic rings in the form of handcuffs have, in both 1980 and 2014, been used to symbolize the lack of human rights in the USSR and modern-day Russia. Even Russians who are critical of the government have found this old-school smear campaign upsetting and irritating. A collection of old magazine covers has recently appeared in a Global Identification blog, prompting an outpouring of negative comments. The 1980 Games’ boycott was of course nothing enjoyable. In the long run, however, it’s been mostly forgotten inside Russia, which cherishes the warmest memories of the first Olympics it hosted.